Ed Miler was born on November 14, 1935, in Summerville, South Carolina. He was commissioned a 2d Lt of Artillery through the Army ROTC program at The Citadel in Charleston, South Carolina, on June 1, 1957, and went on active duty beginning June 25, 1957. After completing Army Air Defense School at Fort Bliss, Texas, and Army Aviation School at Fort Rucker, Alabama, Lt Miler served with the 16th Aviation Operations Detachment at Fort Bragg, North Carolina, from August 1958 to February 1959, and then deployed to Europe from March 1959 to May 1962. During his time at Fort Bragg, Miler completed Air Traffic Control School at Keesler AFB, Mississippi, in February 1959. He next completed the Artillery Officer Career Course at Fort Sill, Oklahoma, and Fort Bliss, Texas, in April 1963. His next assignment was as an aviator and fixed-wing instructor with the U.S. Army Air Defense Center at Fort Bliss from March 1963 to July 1964, followed by service as commander of Battery A with the U.S. Army Air Defense Center from July 1964 to June 1965. Capt Miler then deployed to Southeast Asia where he served as an aviator with the 5th Aviation Detachment in South Vietnam from September 1965 to May 1966, and then as operations officer with the 125th Air Traffic Control Company in South Vietnam from May to August 1966. He next served as flight operations officer and then commander of the 14th Aviation Company in Europe from October 1966 to November 1967, followed by service as operations officer for the 15th Aviation Group in Europe from November 1967 to August 1968. Maj Miler then completed a second tour in Southeast Asia, serving with the 212th Aviation Battalion in South Vietnam from September 1968 to February 1969, and then as commander of the 220th Aviation Company in South Vietnam from February to July 1969. He attended Army Command and General Staff College at Fort Leavenworth, Kansas, from August 1969 to June 1970, and then completed a college degree program at Tulane University in New Orleans, Louisiana, from June 1970 to May 1972. 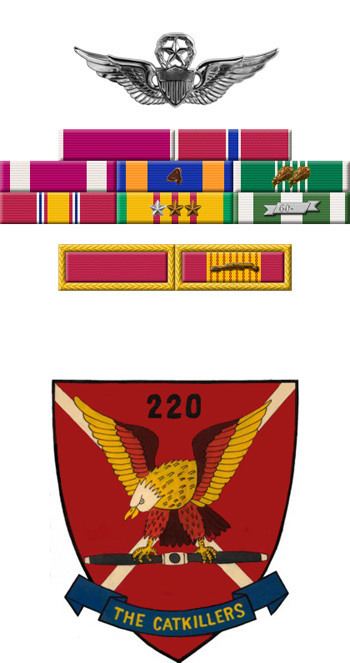 His next assignment was as a staff officer in the Office of the Assistant for Cost Analysis with the Ballistic Missile Defense Program Office in Arlington, Virginia, from June 1972 to April 1975, followed by service as operations officer with the U.S. Army Element of the Office of the Joint Chiefs of Staff with the National Emergency Airborne Command Post (NEACP) at Andrews AFB, Washington, D.C., from April 1975 to May 1977. 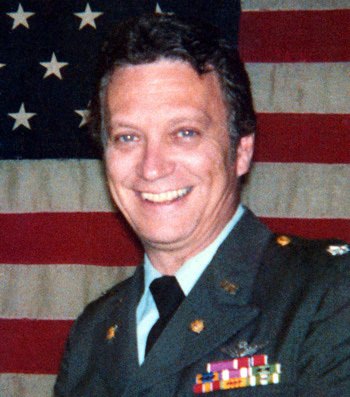 Col Miler's final assignment was as an operations research analyst with the Directorate of Cost Analysis in the Office of the Comptroller of the Army from May 1977 until his retirement from the Army on March 1, 1980. For exceptionally meritorious service while assigned as Operations Research Analyst, Directorate of Cost Analysis, Office of the Comptroller of the Army from 4 May 1977 to 29 February 1980. During this period, he demonstrated exceptional innovative capabilities in developing techniques and procedures for Total Army Costing and in contributing in a major way to Army cost positions on tracked vehicle systems. His outstanding performance significantly contributed to management of Army resources and reflects great credit upon himself, the Office of the Comptroller of the Army and the United States Army.